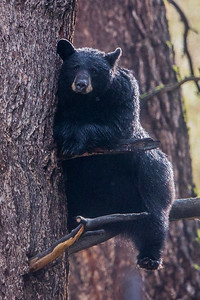 Black bear (aka American black bear) filmed in the Lower 48 United States and Canadian mainland of Rocky Mountains. 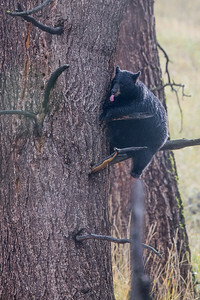 Black Bear spotted in Lamar Valley. 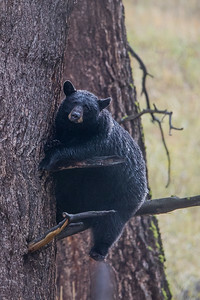 Treed during thunderstorm by near by lightening strike. 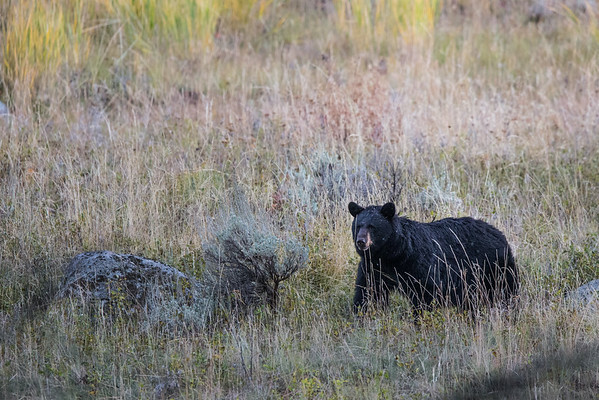 Black Bear spotted in Lamar Valley.